La Avenida de Francia is one of the newest and most unique areas of Valencia. The oldest buildings are only 10 years old and all of them enjoy extremely high quality standards. The area around the Avenida de Francia is calm and all services can be found here, as well as plenty of streets and ample green spaces. Valencia’s skyline is shaped for the most part by buildings on the Avenida de Francia such as the City of Arts and Sciences, the Francia Tower (the highest building in the city with 35 floors) and the imposing Parotet, Miquel Navarro’s 46m sculpture. The Avenida de Francia benefits from an extremely convenient location. It might sound strange for those who do not know Valencia, but La Avenida de Francia is situated very close to the northern exits and the south of the city, near the sea. At the same time, it is perfectly connected to the centre, just as easily accessible by fast roads as public transport. 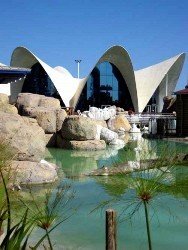 Located just next to the City of Arts and Sciences and all that it entails, one can find a landmark just a stone’s throw away: the largest urban park in Spain (the old river bed). Despite being a relatively new area, all services are within reach whether huge department stores, shopping centres, banks, supermarkets, and restaurants. The Avenida de Francia is a road with traffic travelling both ways, however there is not a great volume of traffic considering it is such a big city. The fact that it is located slightly outside the centre means that the zone is relatively peaceful and the excellent transport links mean that any area of this big city can be reached in a short time. The city centre can be reached by fast roads and bypasses lead to the other parts of the city to the north and south. At the same time, this is the perfect area for this who wish to live close to the sea, with the marina and beach nearby. The Formula 1 track, which passes by the port area, stretches slightly onto the Avenida de Francia and the route in its entirety is very closeby. One of the benefits of being a new urban zone is that the Avenida de Francia has not inherited any of the obstacles of the past; large, open spaces let in a lot of light, there are a multitude of green zones, and the majority of its buildings are very fine. At night the area is safe and peaceful, but there is always somewhere to have a drink. The City of Arts and Sciences is the main landmark of this part of Valencia. This architectural, cultural, and entertainment centre is difficult to understand without having visited, and is situated in the ancient river bank. The constructions, designed by Santiago Calatrava (with the help of Félix Candela), are spectacular. 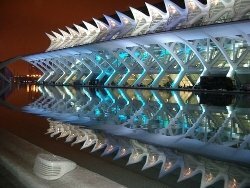 It is a futuristic environment integrated into the city and has become Valencia’s biggest tourist attraction, and has been named one of the “12 Treasures of Spain”. The City of Arts and Sciences is made up of several buildings: L’Hemisfèric (an IMAX cinema designed in the shape of an eye), L’Umbracle (an outdoor passageway displaying artwork and an exclusive nightclub), L’Oceanogràfic (the biggest aquarium in Europe), The Queen Sofía Palace of the Arts (dedicated to music and art performances), The l’Assut de l’Or Bridge (the highest bridge in Valencia at 127m), and the Ágora (a covered square for important events). Browse Avenida de Francia property for sale listings.